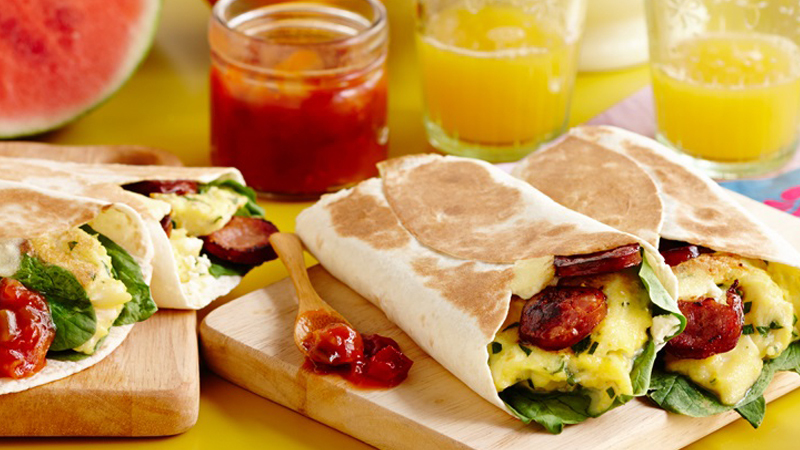 This recipe for breakfast Burritos with chorizo is a Mexican delight. 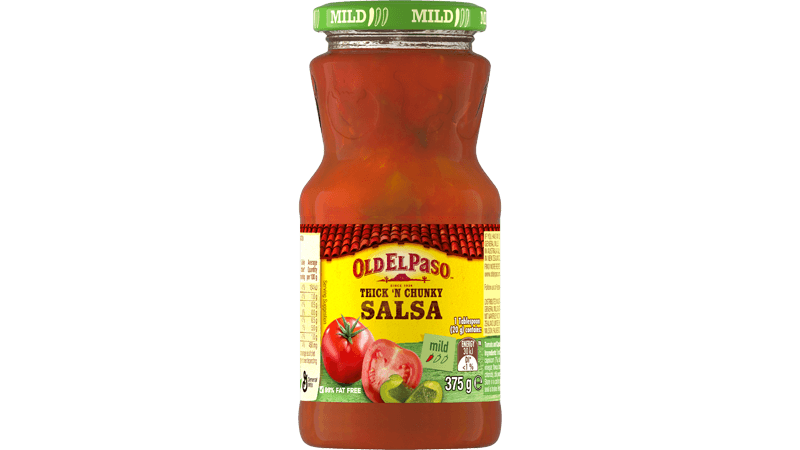 The recipe makes 6 and tastes best with Old El Paso™ Tortillas and Salsa. These Burritos are a great meal to start the morning and are packed with fresh ingredients like eggs, parsley, spinach and crumbled feta. Cook chorizo slices in a non-stick pan over medium heat until lightly browned and crispy. Remove from pan. Whisk eggs, water and parsley together and cook over a low heat to scramble eggs. Lay tortillas on a chopping board and fill the centre of the tortilla with spinach leaves, scrambled eggs, chorizo slices, salsa and feta cheese. Wrap tortilla around filling to form a burrito. Preheat sandwich press and place burrito in press for about 1 minute to brown and crisp up the tortilla. Serve with Thick ‘n Chunky Salsa.